Title explains it. Talk about any Bigfoot movies from the family friendly Harry and the Hendersons to Bigfoot being a killer stalking campers such as Abominable and Exists. Made this thread because I've lately been in the Bigfoot craze and having just ordered Exists (From the director that did Blair Witch Project) which seems like from everything I heard is one of the better Bigfoot movies unlike most low-budgeted ones where you might barely see Bigfoot or not at all. Last edited by GodzillaFan1990's on Thu Dec 20, 2018 9:12 pm, edited 1 time in total. Do you happen to remember and old one where Bigfoot fought a grizzly(?) bear to save a kid? Then got captured and caged by the townfolk, only to be released by said kid? I recall seeing this about a million years ago, but never found it again and have absolutely no idea about the title. Also, have you seen Willow Creek? I wasn't crazy for it personally, but found footage and Bigfoot fans tend to like it. If it counts, nothing has ever topped The Legend of Boggy Creek for me, personally. Pure atmosphere, despite the campy moments (love the Travis Crabtree song). Can of Conspiracy wrote: Do you happen to remember and old one where Bigfoot fought a grizzly(?) bear to save a kid? Then got captured and caged by the townfolk, only to be released by said kid? I recall seeing this about a million years ago, but never found it again and have absolutely no idea about the title. 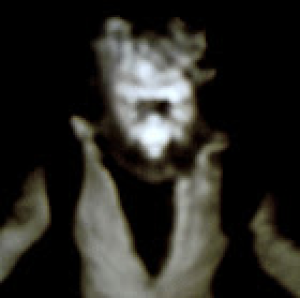 That'd be Bigfoot: The Unforgettable Encounter, if memory serves. I used to have that one on VHS, but it's probably been twenty years since I've seen it. I remember being thoroughly creeped out by the scene where the kid initially sees Bigfoot staring at him from behind a tree in the distance. And yeah, Boggy Creek is great. "I was seven years old when I first heard him scream. It scared me then, and it scares me now..."
Last edited by JAGzilla on Fri Dec 21, 2018 2:13 am, edited 1 time in total. I love me some Bigfoot movies, he'll there were two this year that high on my list of good movies. Big Legend and Primal Rage: Legend of the Oh-ma. I've been meaning to do a top ten list of Bigfoot movies, that will be something for next year. Watched Willow Creek a few days ago. It was okay, it felt like it was building up to something and just never really reached a satisfying climax. The tent scene was the best part of the film and really well done. Controversial opinion here, maybe, but I don't think there are any truly good Bigfoot movies. Harry and the Hendersons is a cute family comedy and that might be the cream of the crop here. There's a lot of potential in something like the original Boggy Creek but I think in execution that film falls flat. On the other hand, there are at least two decent Yeti movies, including Honda's Half Human and Hammer's The Abominable Snowman of the Himalayas. But even most of the Yeti films I've seen are low budget trash. I had indeed heard of Willow Creek but IIRC you never really see any Bigfoot and then there's this scene in a tent that's shot in one scene for 20 minutes. Though I'm kinda intrigued with The Lost Coast Tapes although I hear no Bigfoot is seen in that either but it does sound more interesting. Then of course recently a new Bigfoot movie had been released called Primal Rage. I definitely wanna get around to watching that especially considering how cool the Bigfoot looks especially with the mask it wears being like this Native American archer. Now if y'all want a movie where they don't portray Bigfoot as this bloodthirsty killer I hear Letters from the Big Man is the movie for you. Another movie where the design of the Bigfoot looks legit and even uses a costume. I much look forward to watching Exists when I get my copy in the mail especially being its from the director of the Blair Witch Project and the design and costume of the Bigfoot looks very real and legit. Last edited by GodzillaFan1990's on Fri Dec 21, 2018 11:07 am, edited 3 times in total. GodzillaFan1990's wrote: I had indeed heard of Willow Creek but IIRC you never really see any Bigfoot and then there's this scene in a tent that's shot in one scene for 20 minutes. Yes, there's no actual footage of the bigfoot. Just sounds. But that tent scene is really well done. It's the best part of the movie. Terasawa wrote: Controversial opinion here, maybe, but I don't think there are any truly good Bigfoot movies. Harry and the Hendersons is a cute family comedy and that might be the cream of the crop here. There's a lot of potential in something like the original Boggy Creek but I think in execution that film falls flat. No arguments here. I love Harry and the Hendersons purely because I saw it right when I was in my huge cryptozoology phase and it really is a well done family film, but it's not really the "perfect" Bigfoot movie. Willow Creek is probably the closest film in-tone to what I want out of a bigfoot film. Heavy emphasis on the legendary nature of the character with lots of tension and scenes like the tent scene where you can hear bigfoot but not see him. Just...not found footage. UltramanGoji wrote: Yes, there's no actual footage of the bigfoot. Just sounds. May very well give Willow Creek a look then. I thought maybe that tent scene would had been very dragged out but if you say its well done maybe its worth checking out in that case. Yeah, the rest of the movie is nothing too great, but that tent scene is definitely worth a watch. Super intense, pun intended. Last edited by UltramanGoji on Fri Dec 21, 2018 1:46 pm, edited 1 time in total. Willow Creek sounds something like what I'd want from an ideal Bigfoot movie. I don't want a movie where we see a lot of Bigfoot, and especially violent, aggressive behavior inconsistent with the actual standard of reported behavior. It lurks in the shadows, appearing and disappearing at random, leaving everyone wondering whether it was ever there at all. There shouldn't be anything concrete. That's the whole nature and (arguably) appeal of the phenomenon. Abominable on DVD is unrated, so better than watching it on SyFy. Actually, SyFy had nothing to do with the production of the movie, which is why it looks as good as it does. The FX guy who created the monster suit was a friend of the director. He was a cast member as well. Return to Boggy Creek, on the other hand, is totally make-believe. Laika is doing a Bigfoot movie next year. LegendZilla wrote: Laika is doing a Bigfoot movie next year. Yup. Much looking forward to it. One of my most anticipated films next year. Last edited by GodzillaFan1990's on Thu Dec 27, 2018 4:35 pm, edited 2 times in total. Abominable is a favorite. Too bad the sequel co-written by G.I. JOE godfather Larry Hama never happened. Primal Rage just saw on the Movie Channel a few weeks back and rather enjoyed the puppy. Surprised to a small extent that no one, especially Terasawa, didn't mention WAR OF THE GARGANTUAS. Some kaiju sized beasts, but the scenes of the giant human-like footprints in the Japanese Alps can't help but remind people of legends of Squatch ,and the Yeti. Also there was one documentary from way on back that Isaw on TV called Manbeast . Which featured reenactments of various Bigfoot sightings. Last edited by The One and Only on Wed Dec 26, 2018 12:21 am, edited 1 time in total. I came upon another Bigfoot movie that might actually be half decent. Big Legend. Another great thing about this Bigfoot movie is like Abominable, Exists and Primal Rage it uses a costume rather then typical CGI. Last edited by GodzillaFan1990's on Thu Dec 27, 2018 4:35 pm, edited 1 time in total. Did you ever see the 1977 documentary The Mysterious Monsters by Sunn Classic Pictures? That has not only Bigfoot and the Yeti/Abominable Snowman, but the Loch Ness Monster as well. Always wanted to see it as a kid, but never got the chance. GodzillaFan1990's wrote: I came upon another Bigfoot movie that might actually be half decent. It's got a low rating, but i'll give it a shot. Abominable was entertaining to me esp when one of them bit the guys face clean off LOL pretty good use of practical effects though. Abominable was the shiznit. I have it unrated on DVD and it's a gory good time. Highly recommend it. GodzillaFan1990's wrote: Now if y'all want a movie where they don't portray Bigfoot as this bloodthirsty killer I hear Letters from the Big Man is the movie for you. Another movie where the design of the Bigfoot looks legit and even uses a costume. letters from the big man is probably the only good bigfoot movie ever made.